Warped Threads – come at us again! 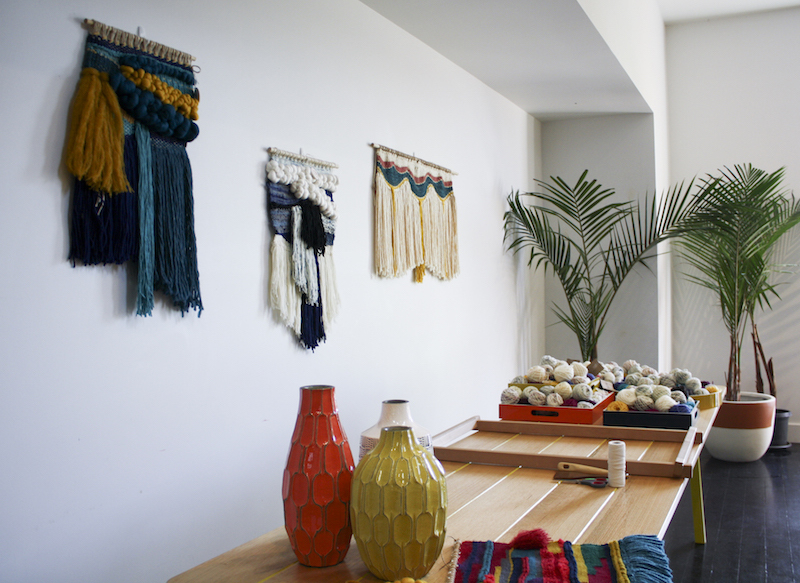 Knotty and gnarly; soft and sultry or perhaps perfectly proportional – the choice is yours when you sign up to Warped Threads’ Woven Wall Hanging Workshop. Courtney and Nicky are well known for their wonderfully wicked weaves – their creative process is both spontaneous and organic resulting in bespoke works worth the lengthy wait list! Join us in this hugely popular workshop – get in quick as these seats are hot to trot! How to warp up your loom. Weaving techniques such as Tabby, Rya and Soumak. How to weave in shapes as well as interlocking techniques. A 22 x 29.5cm Weaving Frame to take home. Food, glorious food! Let’s just say we not only feed your minds, but we feed your tummies too. We will nourish you with an array of fine food, designed to fuel your body ready to produce that final masterpiece! Oh, and a glass or two of a lovely vino. The Windsor Workshop is located on level 1 of 115 Chapel Street, Windsor. Windsor train station is a 4 minute walk, or jump off at Duke Street stop on Tram 78. All day parking is available behind Paint Spot, Windsor (opposite the station) for around $7/day. Our workshops are suitable for persons 16 years or older. You may be photographed at this event. The Windsor Workshop reserves the right to cancel any scheduled workshop. The reasons this may occur are (a) if a workshop does not reach the minimum number of students or (b) an Artist or Workshop Facilitator falls ill. In the unfortunate circumstance of a workshop being cancelled, students will be notified at least 2 days before the commencement of the workshop and a credit note will be issued to be used at a later date. Unfortunately we are unable to offer refunds if the class is cancelled. If you are unable to attend your workshop, please let us know within four days of your workshop and we will give you a credit note to be used at a later date, or transfers are available upon request. No credit notes will be issued for cancellations when less than four working days' notice is given. No refunds are available.